Trying to convince a client they need inbound marketing? Need a stat or two to round out the presentation you're working on? Want to simply know where the inbound marketing industry stands? Good news. 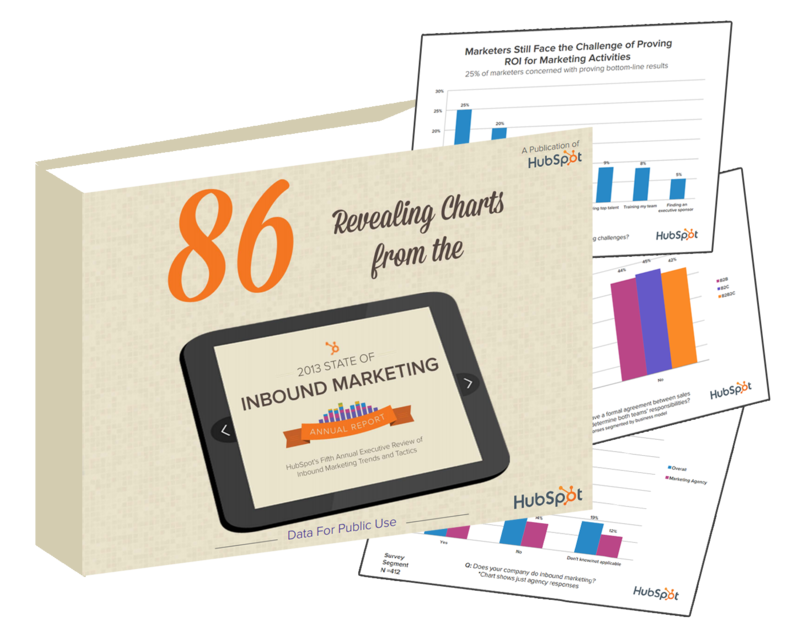 We've compiled the ultimate resource of charts and statistics from the 2013 State of Inbound Marketing Report -- the most comprehensive review of the inbound industry available -- for you to use how ever you choose. Grab your own copy by filling out the form on the right!